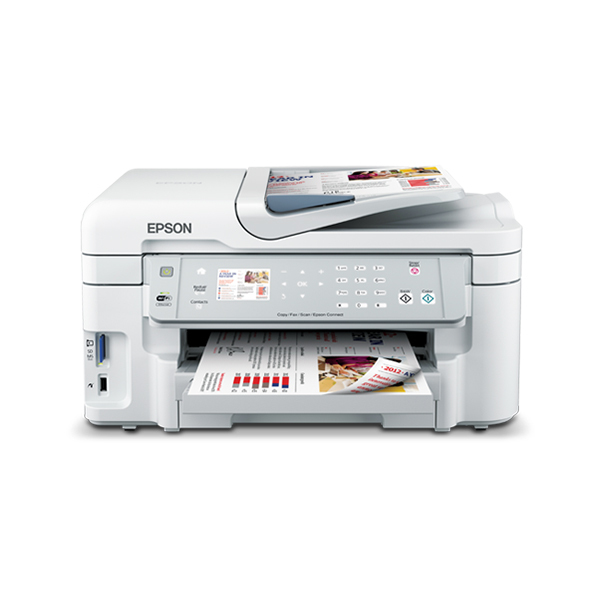 The Epson WorkForce WF-3521 Inkjet Printer yields impressive colour print speed with unrivalled efficiency. 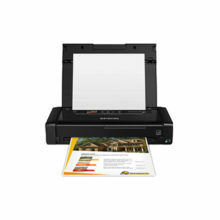 The WF-3521 makes printing documents or photos from anywhere in the world wireless and effortless with Epson Connect. Print to any Email Print enabled Epson printer from any devices or PC with e-mail access. Email Print features a unique e-mail address assigned to your printer. Simply send your mail to that e-mail address, and your document will be automatically printed. Customise your print settings conveniently at Epson Connect portal using your registered login account. 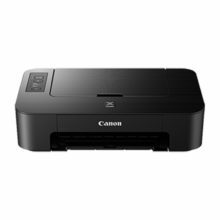 Lets you print directly from smart devices. You can also scan to your device to send as an email, or upload to cloud services such as Box.net, Dropbox, Evernote® or Google® Doc™. Print to a compatible Epson printer anywhere in the world using a Windows PC with the Remote Print driver installed or from an iOS or Android device with iPrint 3.0 and simply print via internet connectivity as if your printer is connected to your device, it is as easy as clicking on File/Print. Scanned files can be uploaded directly to Cloud services without the hassle of going through a PC, making storage and sharing easy. Scanning directly to an email right from your printer can also be done with this feature. Apple® AirPrint™ enables easy wireless printing from your iOS devices. Google Cloud Print™ allows you to print with Gmail™ or Google Docs account either from your smart devices or Google Chrome Browser on PC. Built for optimum affordability, Epson genuine ink cartridges deliver impressive print quality and efficiency. With the all-new 143 inks that lower running costs and maximise savings, enjoy economical printing at as little as US1.6¢ per page. With our individual ink cartridges, replacement is easy, quick and hassle free. With a draft print speed of up to 38 pages per minute (ppm), duplex speed of 7.9/5.7ppm (Bk/Col) and laser-like speed of 15/9.2ppm (Bk/Col), waiting time will be significantly reduced. Printing and copying documents have never been easier. The WF-3521 can be shared within your work group with its Wi-Fi and Ethernet function, increasing efficiency and productivity through seamless connectivity. The WF-3521 makes sending and receiving faxes a breeze with 30-page automatic document feeder (ADF) and 100-speed dial feature. 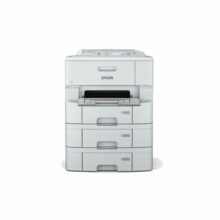 It features a 180-page fax storage memory, ensuring that all your incoming faxes will be received securely. It also includes Broadcast Fax and PC-fax function that allows you to send multiple documents simultaneously through your computer. Impeccable copy feature that makes it easy to print out both sides of an ID card onto a single sheet of paper with ease. Enables easy navigation across various standalone functions that allow monitoring of printer and cartridge status, Eco mode selection, Scan-to-Cloud and Help menu. Enables printing and scanning straight to memory card or USB without the hassle of going through a PC. 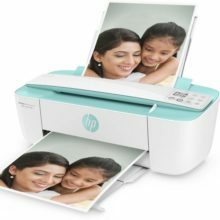 Print photos directly to your printer simply by connecting your compatible digital camera into the USB port. The WF-3521 is ideal for workgroups that require volume printing with fast performance, high reliability and printer durability with max monthly duty cycle of 12,000 pages*. DURABrite Ultra Ink’s versatile, pigment-based, 4-colour ink technology delivers brilliant, fast drying, long-lasting prints on plain and photo paper. Professional print quality is now possible with this smudge, fade, water and highlighter resistant ink. Compliant with Energy Star standards, the WF-3521 saves on power consumption by up to 70% lower than conventional laser printers^. ^Results based on Epson internal testing conducted using US-equivalent 120V models.